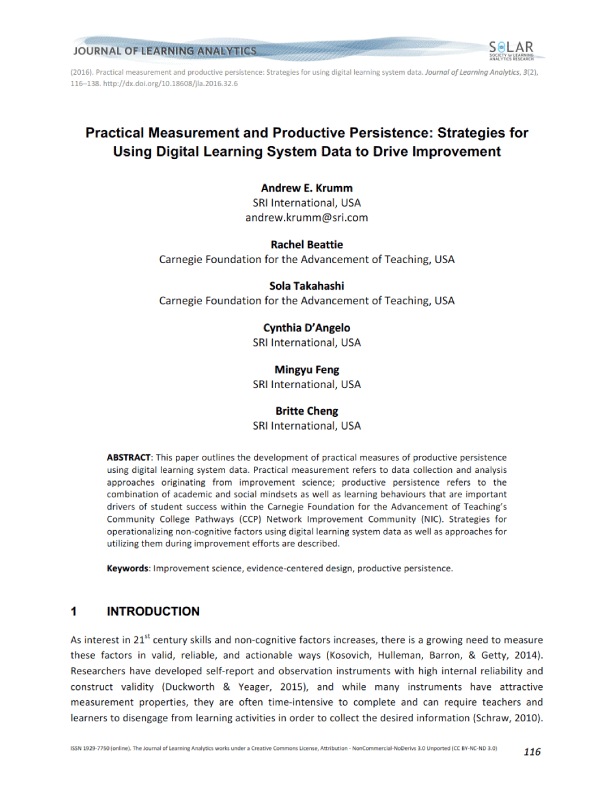 This paper outlines the development of practical measures of productive persistence using digital learning system data. Practical measurement refers to data collection and analysis approaches originating from improvement science; productive persistence refers to the combination of academic and social mindsets as well as learning behaviours that are important drivers of student success within the Carnegie Foundation for the Advancement of Teaching’s Community College Pathways (CCP) Network Improvement Community (NIC). Strategies for operationalizing non-cognitive factors using digital learning system data as well as approaches for utilizing them during improvement efforts are described.